Runs August 7th to 23rd on Tuesdays and Thursdays. This league will run on Tuesday and Thursday evenings. We will run 4 teams of approximately 15 players and 1 goalie each. Each game will be 1hr 15mins in duration. The first game will run 7:15pm – 8:30pm; the second game from 8:45pm – 10:00pm. The U19/Open August League is open to U19 and Open players. U19 players must have played U19 in 2017-2018 season to register. Registration will be on an individual basis. From there balanced teams will be formed. 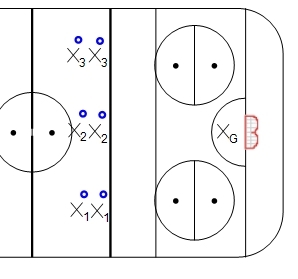 We are aiming to have 4 teams with approximately 15 skaters and 1 goalie per team. You and your team will play in either Game 1 (7:15pm-8:30pm) or Game 2 (8:45pm-10:00pm) on Tuesday and Thursday. Friendly substitutes: if you are going to be missing a game time you can call a friend (must be near equivalent to your skill level) to fill in. If you are unable to find a player to fill your spot for a missing game, please email questions@nationalringetteschool.com and we we will look to find a substitute for you. Share a position: you and a friend can share one spot. For example, if I knew I could only play Tuesdays and my friend could only play Thursdays, we can register for one spot. (One full registration fee must be paid by one party.) If you choose to register this way, please simply indicate your friend’s name and contact information in the “additional comments” section.